To download a PDF of the parent's handbook, click here. Or you can read the text version below. To the new skater or parent, the workings of the Club may be somewhat bewildering. They can be made more understandable by asking for a copy of the Club’s Constitution and the By-Laws and Rules. Every Club has them, and while they differ in detail, each is a law for that Club’s Members. The Constitution sets out the objectives of the Club, the rights and obligations of its Members, the organization and authority of the Board of Directors and Committees, as well as the membership and fee structures. Club By-Laws and Rules are usually published by the Board of Directors to cover day-to-day activities such as conduct on the ice, allocations of ice time to various groups or categories of skaters, dress on the ice, music and its use, rights of coaches, arrangements for lessons, introduction of guests, etc. With this information one should be able to fit into the Club and its activities quickly and comfortably. The next step is to meet the Club Directors, all of whom are eligible persons (formally called amateurs), volunteers, and the coaches. Together these two groups run the Club. One group cannot do the job without the other. These people are always ready to answer questions and give help or advice, but they must be asked. They can’t predict each Member’s needs. As you settle in, keep your eyes and ears open. Every club needs HELP from its Members. VOLUNTEERS are needed to supervise various sessions, raise funds, make costumes and props for carnivals, run Test Days and Competitions, provide meals for the judges, officials and other workers and be members of the various committees responsible for running the Club. You are always welcome to attend your Club’s Annual General Meeting to speak and vote on your own behalf or that of your child. Most Clubs offer Special or Associate Memberships to parents for this very purpose. Attend your next General Meeting and participate, to ensure that the best interests of the Club are met. Some parents just sit back and let others do the work, using the Club as little more than a baby-sitting service. This is far from fair to the other Members, who are trying to make the Club the best it can be. Most of all, this is unfair to the children. Without more people willing to become involved, even just a little bit, there will not be a Club, and your child or children would not be able to enjoy the figure skating or power skating and all it has to offer. Each adult should accept at least one task for the Club per year. Find out where help is needed and offer to assist. You will quickly find that when working with THEM – THEY become WE – and WE are truly part of the Club. Nothing can be accomplished by sitting on the outside complaining about what THEY do or do not do. So...become involved. Many parents find working for the Club and the skaters challenging and satisfying. They become part of the Club and its spirit and learn a great deal about skating and Club operations. As time goes on, often very little time, the opportunity to serve on the Board of Directors or a Committee may present itself. You may be approached by the Nominating Committee or by voting Members to stand for election, at an Annual General Meeting, or the Board may ask you to accept appointment to a vacant position of the Board. This is a major step that should be accepted only if you are willing to put the best interest of the Club and its Members first. You should also be flattered that you were asked to be part of such an important organization, whose ultimate goal is providing a terrific opportunity to so many children. Should you accept this challenge, in preparation for an appointment as Director, you should review the Constitution of the Club and its Rules. You should also become familiar with the rules for the conduct of meetings. You may find, in some cases, that each Member of the Board will be assigned a task or tasks that are appropriate to his or her expertise when possible, e.g. Finance, Administration, Program Design, Music, Costumes, Schedules, Beginners, Competitors, etc. The decisions of the Board are made in the names of all the Directors, including those who may have opposed them. On motions put forward by other Directors you must be the one to ask questions, if you have any. Decisions should be carefully considered. If you do not understand all the details or ramifications, ASK. The answers will probably help others also understand things more clearly. The ethics of Board Members require that you accept each and every agreed decision and support it without outside comment or further opposition. Hopefully, this will provide some insight as to how the Club operates and the necessity of Volunteers willing to give a little of their time to help “THE CHILDREN”. They are counting on you! Parents are the backbone of every Club. · They fill many different roles, such as Member of the Club Executives, Session Monitor, Competition Worker, Test Day Worker and/or Supplier of food for the Judges, Carnival Convenor, Costume Sewer, Ticket Seller, Fundraiser, and much, much more…and in the end PAYER OF THE SKATING BILLS. · Parents should recognize that the Club is being run for the benefit of all Members, not just one group or their skater. The atmosphere in any Club is, to a great extent, set by the adults who are in attendance at the Club's Sessions, as well as by the skaters on the ice. In order to prosper, every Club needs skaters of all ages and levels. It is very much a UNITED WE STAND – DIVIDED WE FALL situation. Parents often forget this concept and try to influence Club decisions to the benefit of only their child. In many cases, individuals acting in this way do not realize that their actions are damaging to the Club. o Engineering – stage construction, lighting, etc. · Parents should not criticize the performances of any skaters. Criticism of a skater’s performance by casual comments in the stands is inconsiderate and unproductive. Public criticism of one’s own skater is unseemly and confidence breaking for the skater. Such criticism is often coupled with parental coaching from the stands. This is generally counter-productive to the professional teaching and training being paid for by the parent. · Parents should not attempt to discipline any skater on the ice. Most skaters are children who make mistakes, act up or get in the way. The coaches and the Executive are responsible for enforcing the rules. Report any significant problems to the Executive and let them resolve it. When parents become unnecessarily involved, animosity may be built that tends to damage the rapport within the Club and the friendly relationships between the skaters. · Parents are responsible for transporting the skaters to the arena and home. A skater who is late for a session causes delays in lessons and group practices, which may cause a coach or skater(s) to miss a lesson. Parents “pooling” transportation can make things easier for many. Like I said – Great Food for Thought!! Thanks to all our Club Volunteers who do give so much to our skaters and our sport! This piece was used by permission of the Western Ontario Section and was written by Sue Plewes. Canskate Group format. One set fee. Designed for beginners at all ages. Basic skating skills are taught. Badge reward system. Feeder program to all other programs. Program is led by Skate Canada Professional Coach with the aid of trained program assistants. Report cards given in Dec. and March. Pre Power Skate Group format. One set Fee. Work on basic skating skills required for Hockey & Ringette. Ribbon Rewards used. Taught by Bearcats, Skate Canada Powerskate Coach and trained program assistant. Report cards given in Dec. and March. Power Skate Group format. One set fee. Skaters must be able to skate forward and stop. Skaters work on all skating skills required for Hockey & Ringette. Badge rewards used. Program taught by Skate Canada Certified Power Skate Coach. Report cards given in Dec. and March. Junior Group format. Lesson and ice fees combined. Work on stroking, dance, basic jumps and spins, and spirals. Taught by Skate Canada Professional Coach. Report cards given in Dec. and March. Badge rewards used. Skaters move to next session upon coaches request. Intermediate and Senior On this session, the ice fee and coaching fees are separate. Lessons are done in a private or semi-private format. Skaters must be able to work individually outside of lesson time. Coaching fees and amount of lesson time interested in, to be set up with the coach you choose. Skaters work on jumps, spins, dance, stroking, skills and solos, spirals, etc. More in-depth than Jr. time. PLEASE SEE SKATE CANADA WEBSITE FOR MORE INFORMATION ON ANY OF THESE PROGRAMS. v Equipment should be checked regularly to see that it is appropriate, fits and is in good repair. v Do warm ups and cool downs which include stroking and slow stretching. Some of these exercises may be done off the ice. v Any skater with a previous injury must be 100% recovered before returning to activity. v Get up quickly after falling down. v Look in the direction of travel when skating backwards. v No pushing, playing tag, bumping into others or the boards. v No gum or candy on the ice. v Sharp objects should not be carried in pockets. v Starts and stops should be done a safe distance from the boards. v Laces should be tucked into the top of the boot. The laces should never be wrapped around the top of the boot as it is a safety hazard and circulation to the foot may be cut off. v Coaches and club administrators should be advised of any skater with special medical conditions. ¥ Proper fit is essential to the performance of your skates. ¥ Do not buy skates with the intention of "growing into them" -- poor fitting equipment will cause discomfort, discouragement and poor results. ¥ Moulded plastic skates should be avoided. They are not flexible and make it difficult for skaters to bend their knees and push off. They also make the skater's feet cold as well. ¥ Look for blades that are screwed onto the boot rather than riveted so that the blade can be moved if necessary. If the blade is riveted, make sure it is on straight. ¥ A leather boot is preferable to vinyl. ¥ Make sure the boot does not have any wrinkles. ¥ Fitting too large is the primary cause of premature breakdown. ¥ Wear only one pair of tight fitting socks or tights (wear the same pair that will be worn when skating). ¥ Partially lace boots through instep. ¥ Slide foot forward so toes touch the front but are not cramped. ¥ Stand with weight equally distributed over both feet. ¥ The space at the back of the heel should be no more than a pencil width. ¥ Tie laces loosely over the toe and front of the foot and snugly over the ankle and instep. ¥ Skates should fit snugly around the ankle and heel with some room for movement of the toes. ¥ There should be no looseness or creases in the boot. ¥ The tongue should be well padded and wide enough to cover the front of the ankle and stay in place. ¥ Walk around in the skates off the ice; they should feel comfortable. ¥ Always wipe moisture from the interior and exterior of your boots after every use. ¥ Let your boots dry between skating sessions. ¥ Never use a hair dryer or put your boots near a heating register. This will dry the natural oils in the leather, causing it to dry and crack. ¥ Loosening the laces and pulling the tongue open allows greater air circulation and better drying. ¥ You may stuff newspaper or paper towels into your boots to hasten drying. ¥ Damp skates stored in your carry bag will promote the growth of mold and mildew, causing the leather to deteriorate. ¥ Our leather outsole mounted sets are shipped with only four screws (inserted in the slotted holes) holding the blade to a center mounting. ¥ This is a temporary mounting to allow each individual skater to ensure blades are properly set. Once satisfied with the mounting, the remainder of the holes should be drilled and screws inserted and tightened. ¥ All leather outsoles should be treated with a water repellent. This will help prevent water from separating the layers of the heel and sole and will help prevent discoloration and rotting. ¥ Beeswax or commercial silicone products are good suggestions for this purpose. This can be purchased from skate supply shops. ¥ Skate guards should always be worn when not on the ice to protect the sharpening of your blades. ¥ Always wipe the moisture off your blades. As the blades warm up you will need to wipe them again to make sure they are dry. ¥ Use soft blade covers to protect your blades between skating sessions. ¥ At each sharpening, we suggest you have all of the screws holding your blades checked to make sure they are secure. ¥ The bottom toe pick should not be removed. The pick is part of the design of the skates and is essential to proper balance. ¥ Jackson Ultima recommends applying a thin film of light oil to the sharpened edge of the blades to prevent rust and corrosion. ¥ Sharpen skates every 30 hours of skating time. ¥ Do not skate on outdoor rinks and ponds with your figure skates. It will damage the blades. While arrangements for ice time, setting of skating schedules and other administrative duties are the role of the figure skating club executive, programming and instructional concerns are the responsibility of the parent, skater and coach. A parent should maintain regular communication with her child’s coach ensuring there is agreement on such things as the number of lessons given per week, expectations for progress, fees to be charged, etc. Parents should explain their expectations for their child with the coach, whether figure skating is a competitive interest or athletic interest. Parents should also discuss with their coach the level of skating their child is currently working towards. 1) How much are your instructional fees? 2) Do you charge travel fees? 3) How many lessons do you suggest per week? 4) When will student get a program (solo)? 5) What fees do you charge for music cd’s for programs? 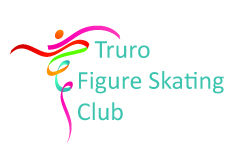 To obtain a list of Skate Canada coaches currently coaching at the Truro Figure Skating Club, please contact a member of the executive. Pre-Power, developed as a result of a need and interest of the skating community across Canada is an introductory program geared to children approximately 4-6 years of age, designed to teach basic skating skills and technique in a power skating specific environment. It’s progressive format is presented in three sequential levels A, B and C. Focus is on the basic fundamentals including balance skiils, forward and backward skating, stopping, turning and agility skills. Pre-power has been designed to run concurrently with existing CanSkate sessions, therefore no additional ice time is required. The Pre-Power awards consist of three ribbons – A, B and C. Similar to the CanSkate program, skills are assessed on a daily basis. Once the skills at each level are mastered to the desired performance level, the ribbon is awarded. Assessments may be done with or without the use of the stick. (See recommendations for each skill at the end of this manual.) There are no skill tests in Pre-Power. CanPowerSkate is an instructional program that teaches skating skills and techniques to hockey and ringette players in a progressive format that emphasizes how these skills apply to game situations. The program includes conditioning and power skating drills that are designed to reinforce the skills taught and to improve anaerobic and aerobic capabilities. The CanPowerSkate program is adaptable to skaters of all ages and ability levels, although it is recommended for skaters who can skate forward the length of the ice using alternate strides, skate backward the width of the ice using alternate strides and stop on command without using the boards. Skaters who do not have these skills should enroll in the Pre-Power Program if available or the CanSkate program. The CanPowerSkate program was designed to help skaters develop balance, power, and endurance. Its skill award program provides incentives and helps encourage life-long participation in skating. Many certified CanPowerSkate coaches also have a figure skating coaching background. As Skate Canada coaches, they have been trained in group teaching, error detection and correction methods. Other certified CanPowerSkate coaches will have a successful background in coaching hockey and/or ringette. The CanPowerSkate program is under copyright and is available only through Skate Canada member skating clubs. The CanPowerSkate program is divided into six levels, with an additional Pre-Power level for younger skaters (approximately 4-6 years of age) who wish to learn early skating basics in a power skating specific environment. Please see separate Pre-Power report card at the end of this manual. ü Helmets are recommended for beginners of any age. ü CanSkate, Pre-power and Power levels require a CSA approved hockey helmet. Face mask must be worn. ü Development & Jr. levels - helmet is optional. ü Intermediate & Sr. levels - helmet not worn. ü Fit should be snug. ü Both the strap and the helmet should be adjustable. ü Look for helmets made of hard plastic with a thick sponge layer. ü Look for helmets approved by the Canadian Standards Association (CSA). ü A hockey helmet is required as it is designed to withstand repeated bumps and protect against penetration. ü Clothing should provide warmth, allow for movement and provide some protection from falls. ü Ski suits are generally warm and dry but may restrict movement. ü Layering of sweat suits, sweaters, ski jackets and long underwear or leotards is recommended. ü Warm mittens or gloves are a must. ü Long scarves are not advised. Young skaters beginning to learn how to skate should be comfortably and warmly dressed. Warm outfits and helmets are well suited to CanSkaters. As skaters move into the higher levels of CanSkate into STARSkate, skating dresses become the norm for female skaters. For test and competitions, a tight-fitting sweater or warm-up jacket over the dress and gloves are acceptable for warm-up periods. However, sweaters and gloves should be removed for the actual test unless the temperature in the arena prohibits it. The same principles apply to male skaters. For beginners, warmth and comfort come first. As the skater starts to move more, a neat sweater and pants can be worn. The pants should be made of stretch material. The bottoms of the legs should be held down with a stirrup under the arch of the boot and hook from the front crease of the pant leg to the laces in the boot to give a good line to the stretch leg, without flapping pant legs. Inseams should be carefully measured so they do not restrain the skater from executing his moves freely. Coaches or club personnel should be able to direct you to skating boutiques who normally sell “off-the-rack” apparel or to independent costume makers who offer custom design and fitting services. For skates & fitting, sharpening and accessories.